These SureComfort Pen Needles (4mm, 32G, 100 per box) feature a lubricated needle that provides the best possible comfort. They are compatible with all major delivery devices. 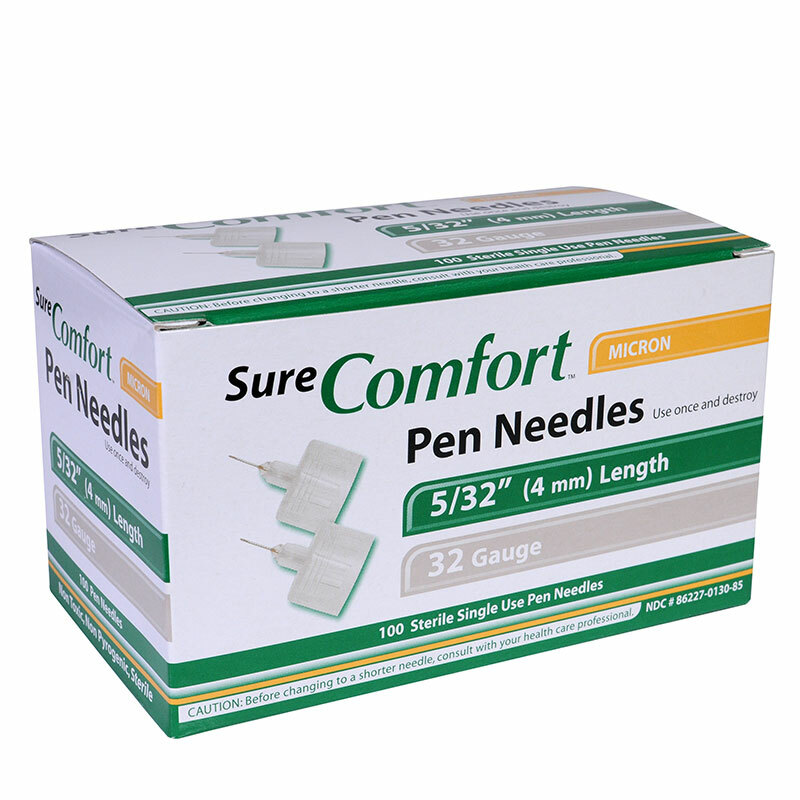 You are buying the SureComfort 4MM Pen Needles 32G 5/32in 100 per Box, manufactured by Sure Comfort. Sure Comfort is a leading manufacturer of Insulin Syringes, Safety Lancets, Pen Needles and diabetes supplies. At ADW Diabetes, we offer the complete product line by Sure Comfort with great savings and excellent service. The SureComfort Pen Needles provide a universal fit with all diabetes pens and dosers. The line continues to improve with the addition of convenient 100 count boxes and new sizes: 30G x 5/16in and 32G x 1/4in and most recently the Micron 32G x 5/32in. The pen needles are lubricated to provide the best possible injection comfort. A new addition to the SureComfort line, the 32G is the thinnest gauge available for ultimate comfort. 100 Single use short pen needles. Very comfortable to use. That's the best thing. It says it all.....easy, comfortable, and simple. These needles are more less painful than the previous ones that I was using. Having to inject twice a day can be painful, much less with these.